What is an art town? Is it a city draped in paint splashes? Is it a place with bold, innovative galleries? Is it a town that puts on some of the most graceful theatre and dance performances ever seen? It’s a little bit of everything and without it, we would be nothing. Art fills our lives with bright hues, with complex thoughts, and with a sense of urgency to feel more, want more, and be more. A visit to any of these places is sure to inspire. To find the best of the best, we looked from the west to the east, and have categorized our list by population size to highlight the most creative places, whether they have the resources of a big city or the heart and soul of a small town. 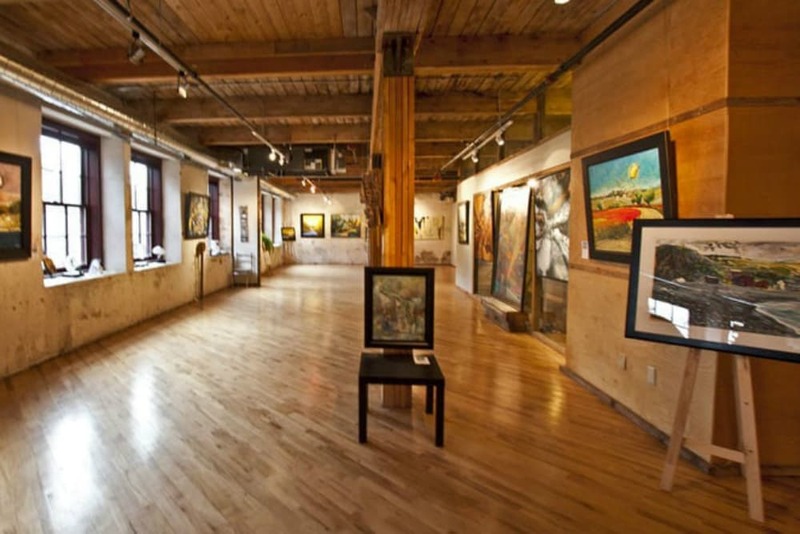 Here are the top artistic towns in Canada. If there was a council that did everything it could to put art first, it would be the Annapolis Royal Community Arts Council (ARCAC). This organization has been meeting for over 30 years to find ways to share artist work with the community at large. See some of these creative minds in action when you visit ARTsPLACE, an artist-run centre, which displays contemporary pieces. In addition to exhibited art, Annapolis Royal also has a healthy amount of workshops, lectures, music performances, and readings. You might also want to make a stop into Round Hill Studio to see local talent on display. Our tip: August is one of the best months for this art town. Visit during Festival of Dance Annapolis Royal, which will feature a dance documentary to open the event. Stick around for Paint the Town—which turns 22 this year—where you’ll see a ton of regional works. When does art become a rally cry? Perhaps it’s sometime between preserving yesteryear while racing toward the future. 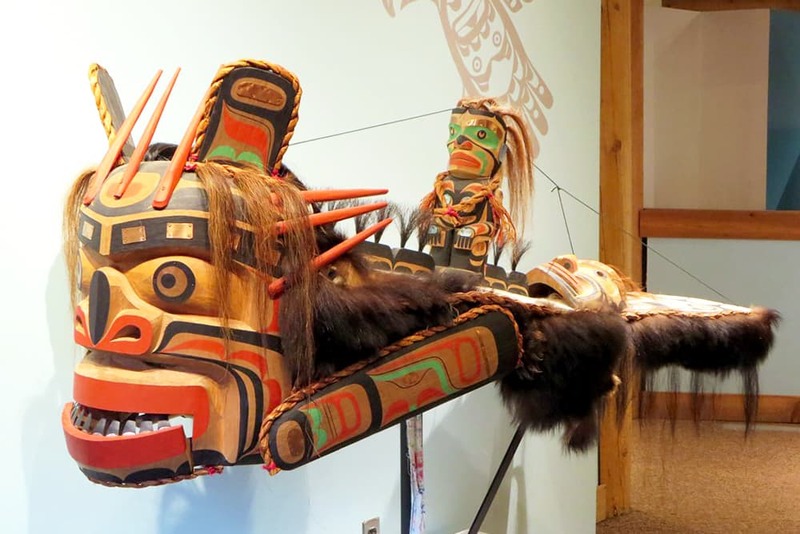 In Alert Bay, they take culture seriously, especially at the U’mista Cultural Centre, which has a main goal of ensuring the legacy of the Kwakwaka’wakw. Take a tour and see cultural masks, as well as traditional dances. Alert Bay has a keen focus on giving local artists a place to express themselves—such as with ArtFest. Now in its 9th year, the three-day event features work from over 40 artists. While in town, you’ll also want to make a stop at ArtLoft Gallery, which spotlights a different theme each month, and allows locals to have their own solo shows. With brick-lined buildings downtown and a ton of open green spaces, Creemore fosters a sense of artistic freedom. The results of that creative liberty? Mad & Noisy Gallery. This is where you’ll see work from over 40 Georgian Bay artists, with everything from sculptures, wood figurines, and textiles. Prefer your art as ink on a page? Head down to Curiosity House Books & Gallery. This popular book shop makes a point to spotlight indie authors on the shelves and local artists on the walls. 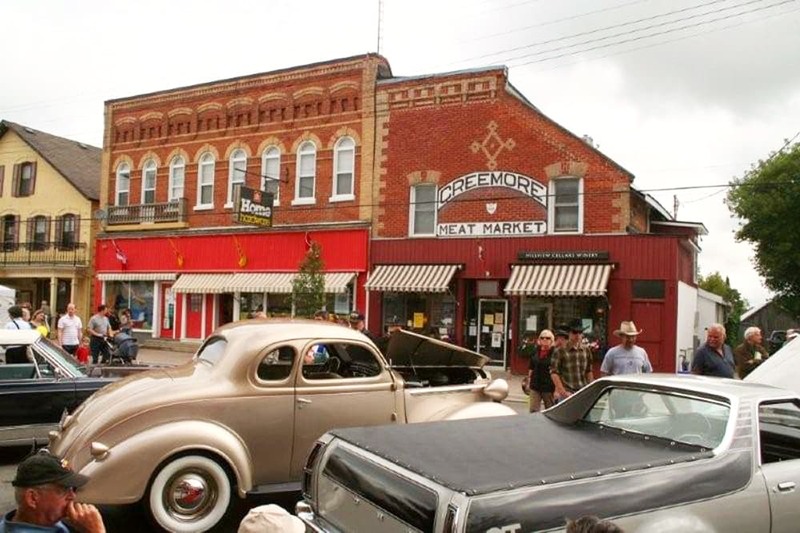 Creemore also hosts a number of special events, such as literary discussions between writers, poetry readings, and music at the Writes of Spring festival. Some towns have galleries; Bouctouche in New Brunswick has an island. Named Le Pays de la Sagouine, this island is the site of summer-long entertainment. A prohibition-era fishing village was constructed on the land as a large-scale set and hosts theatre shows, comedy routines, and dance performances. For something more traditional, don’t miss Le Festival de la Folie des arts, which takes place in August and spotlights local arts from the Kent-South region. You might also want to visit during National Acadian Day, when the Tintamarre (a noise parade) takes place. Few of us had the chance to attend the original 1969 Woodstock, which is why the town of Saint-Ephrem-de-Beauce hosts their own version of good music, good vibes, and good times. It’s called Woodstock en Beauce, and the 2017 version is gearing up to be one of the biggest editions yet. Expect more than 30 live shows, flame blowers, and confetti. Reggae, folk, blues, rock, hip-hop, and pop are all included. Tie-dye is optional. Wide-open spaces are enough to inspire anyone to dream bigger and aim higher than they ever have before. And if you need any evidence of that, make your way to Inuvik in the Northwest Territories during Great Northern Arts Festival (GNAF). GNAF is an enormous 10-day event that features over 80 different artists, nearly 50 performers, and a 4,000-piece gallery. The event also includes workshops for all you aspiring creatives out there. And, if you want to take some goodies with you, stop into Originals on Mackenzie and the Inuvialuit Regional Corporation Craft Shop (where every dollar goes right back to the artists). What kind of art do you like? Music? Film? Eco-installations? Take your pick when you visit Wolfville, Nova Scotia. If you love folk and roots music, you’re going to love the Canadian Deep Roots Music Festival in September, which spans four days and includes workshops as well as concerts. 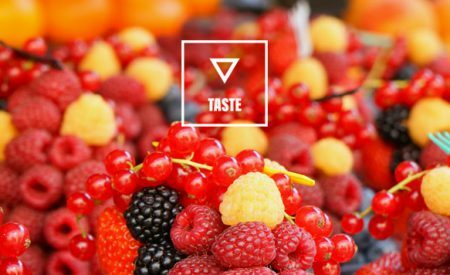 If you consider yourself a foodie, don’t miss Devour!, a unique film festival devoted to celebrating “the culture of food and the dramatic impact it has on our day-to-day lives.” Know what else is in Wolfville? Acadia University. This school knows a thing or two about producing great musicians. Their top-tier students put on shows throughout the year, and you won’t want to miss a performance. For more of an eco-spin on creativity, make your way to Wolfville to participate in the Community Environmental Art Project. Locals and visitors are invited to use the organic materials at hand (like sticks and leaves) to create grand art pieces. Given the natural beauty of Nelson, British Columbia, it isn’t much of a surprise that the landscape finds its way into so much of the art around here—especially at Touchstones Nelson: Museum of Art and History. We’d be remiss not to explain the name of the centre. A touchstone was an antique device that measured the purity of gold and silver. As such, Touchstones Nelson is a measure of excellence in regional art. Take your time perusing the exhibits, with pieces that incorporate materials like old photographs, mixed media, and video installation. Other art-centric events in town include live shows during summer’s Banding Together Mass Concert, jazz performances at The Library Lounge, and ArtWalk, a public event that features art and music throughout downtown. The classics are very much alive and well in Portage La Prairie, Manitoba. All you have to do is head into town during the Prairie Sounds Festival that occurs each spring. Talents such as piano, choral, vocal, and speech arts are celebrated and awarded. 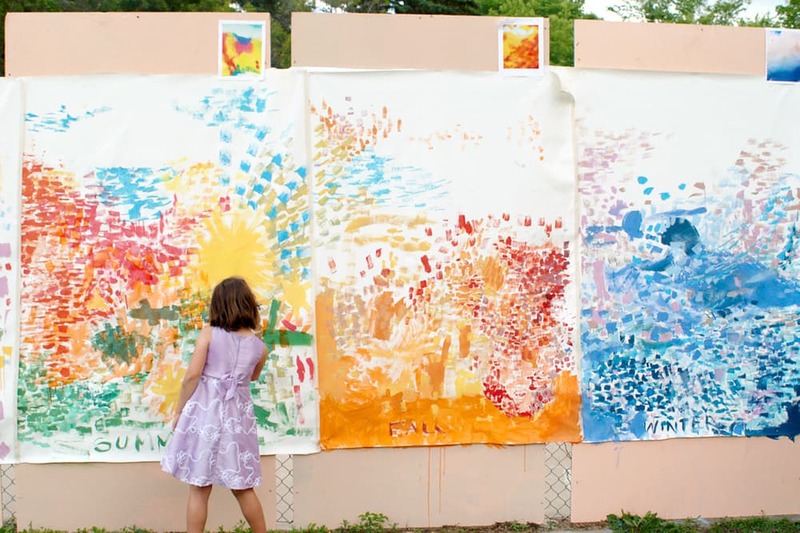 Check out finished paintings and works in process when you attend Prairie Ripples Art Tour, which happens in September and is completely free. For larger shows, make a stop at Glesby Centre, which routinely puts on live music and theatrical performances. Want to simply walk around and admire the view? 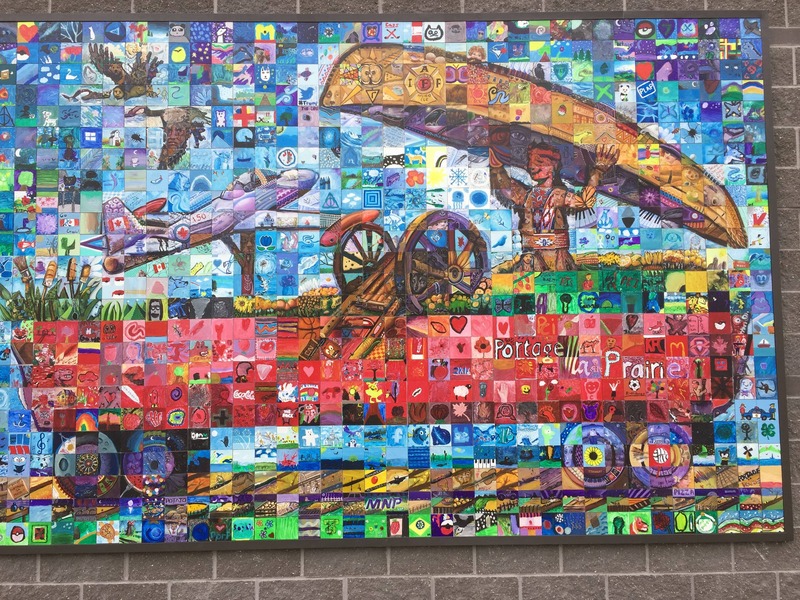 There’s a ton of public art in Portage La Prairie. Snap photos in front of a myriad of murals around town. North Battleford knows good theatre. That’s why the town was selected to host TheatreFest 2017. For a week, innovative productions tested new material that delighted audiences and could easily influence that next generation of playwrights. 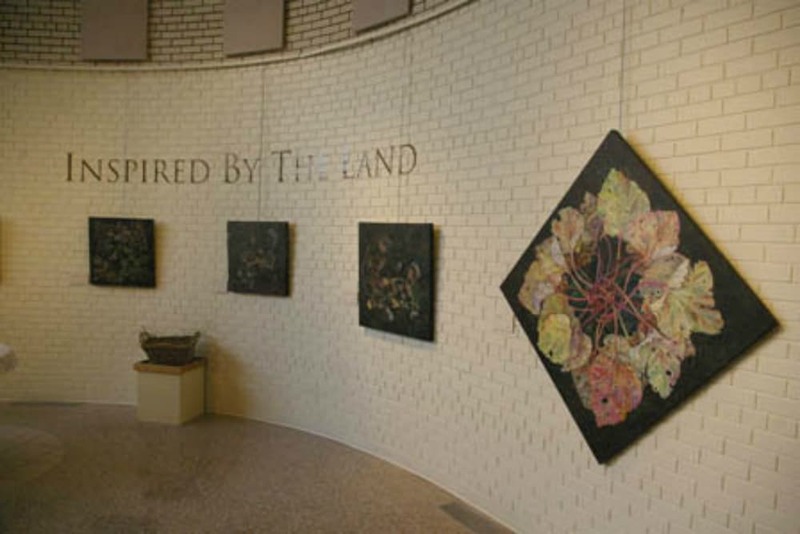 While you’re in town, make a stop into Allen Sapp Gallery, which not only displays new works of art, but also offers workshops and tours. You might also want to pop into Chapel Gallery, which is open for exhibits, and offers mentorship programs and workshops. What’s 70 years old and still better than almost anything else out there? The Yorkton Film Festival. Now in its 70th year, the festival showcases Canadian filmmakers creating beautiful pieces of art. This year’s event includes a youth film competition and youth workshops to promote the newest wave of creators. Unsurprisingly, the fest recently won the 2016 Saskatchewan Arts Award for Leadership – Organization. While you’re town, make a point to tour Godfrey Dean Art Gallery, which spotlights a ton of local paintings. You might also want to plan your trip in September during the Sunflower Arts & Craft Market each September, which features over 150 artists. Miramichi, New Brunswick, may be known primarily as an outdoorsy kind of town, but don’t let those hiking boots fool you. This town appreciates culture in a big way, namely the Miramichi Folksong Festival. At 60-years old, it’s one of the longest-running folk festivals in the country. The five-day event features traditional and modern folk music, along with workshops, a community breakfast, and special shows for the kids. 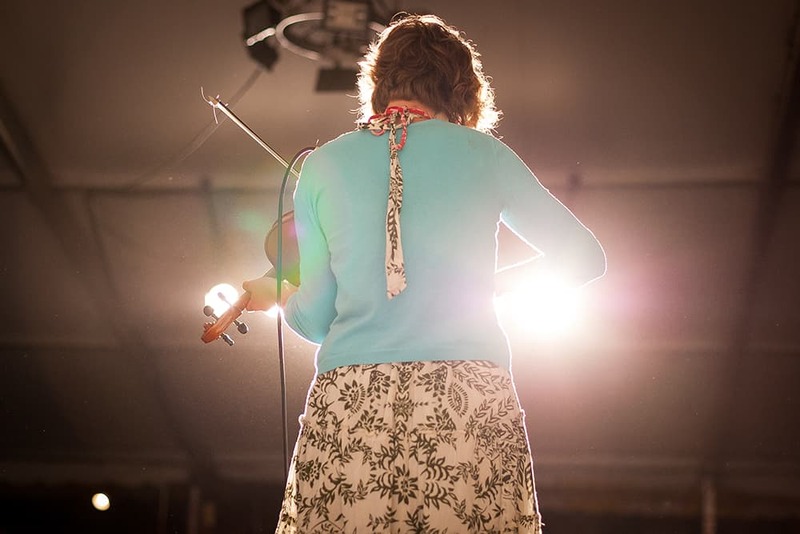 You’ll also want to make it into town for Canada’s Irish Festival on the Miramichi, a popular summertime event that features lively music and tons of Irish food. 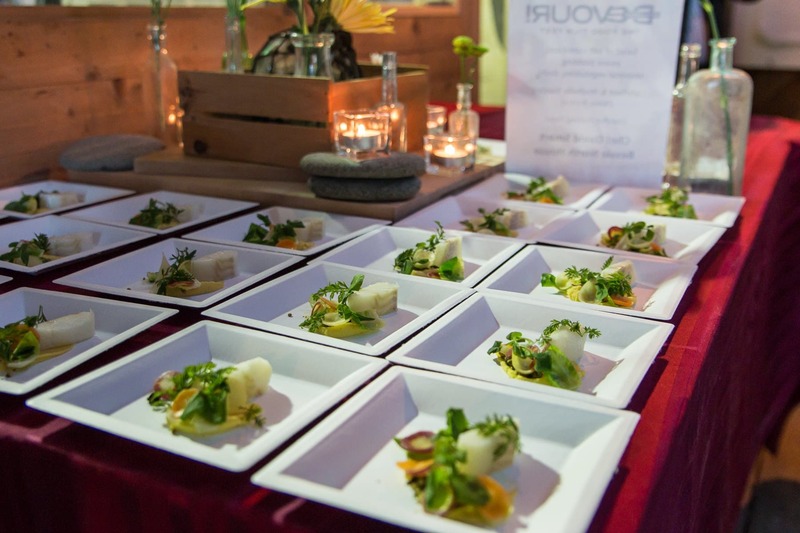 When it comes to creativity, Caledon in Ontario is all about building the best artist community possible. This is especially true with Headwaters Arts, the local organization that promotes new works from regional artists, while offering classes on subjects such as writing and framing. 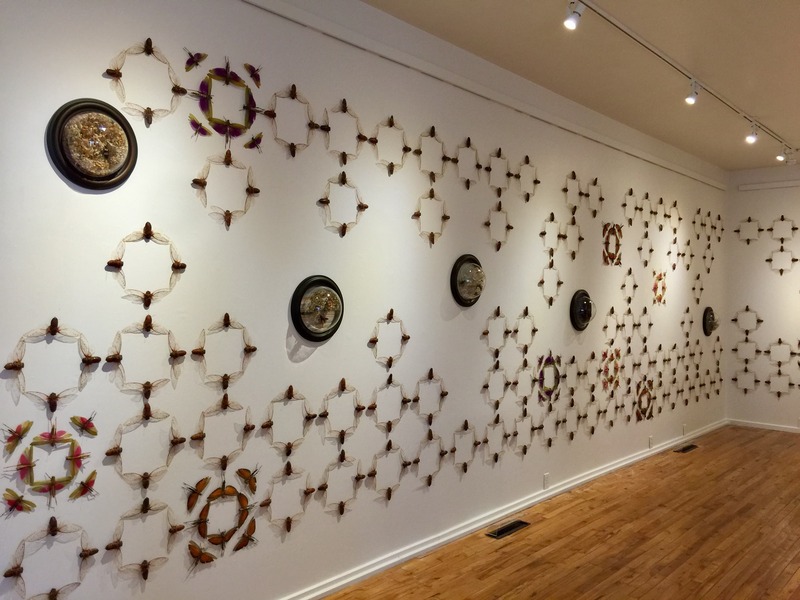 Headwaters Arts also has a rotating gallery and an annual competition in fall. Caledon embraces the theatre scene, as well. 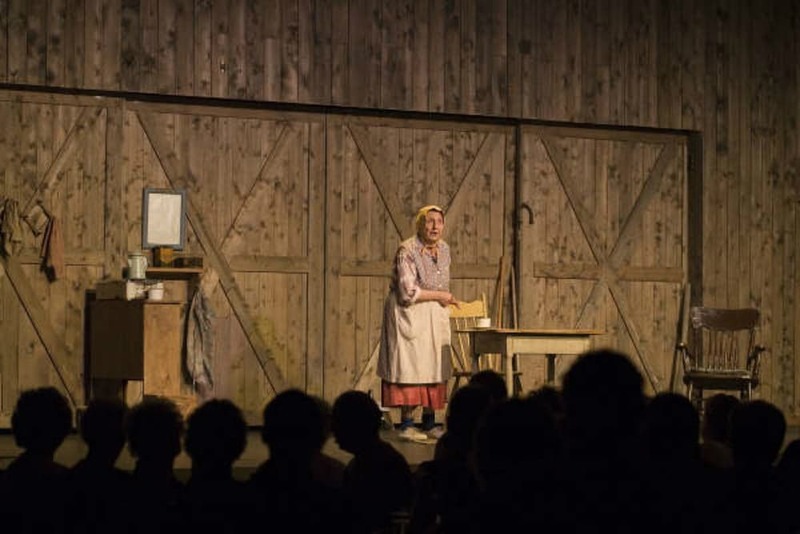 This year, the Blackhorse Village Players are putting on productions that celebrate works of Canadian playwrights in honour of the country’s 150th anniversary. And as always, you can count on the Caledon Townhall Players to put on modern works, full of humour and a dash of naughty. You want revelry? You want sequins, beads, feathers, paint, and music? Then you better find a way down to Drummondville, Quebec, during Mondial des Cultures. This nine-day event is one of the largest international dance festivals and turns 36 this year. 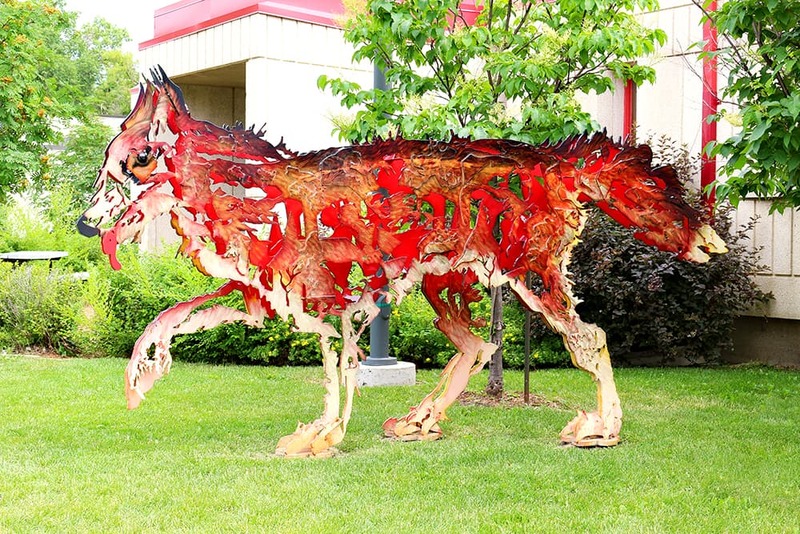 To see artists at the top of their game, don’t miss the annual Symposium des arts UV Mutuelle de Drummondville, which gathers together over 80 artists to showcase their sculptures and paintings. Galerie d’art Desjardins is also a showstopper. Walk through the various exhibits to see the magnitude of creativity, which ranges from sculptures to mixed media and a few paintings for good measure. If there was a museum for others to aspire to, it’s the Reach Gallery Museum in Abbotsford, British Columbia. The centre recently won a BC Arts Council award for Professional Projects (Visual Arts). See the magic for yourself when you tour the museum and see a variety of regional artifacts, paintings, and avant-garde works of art. The town doesn’t just have the gallery, of course. There’s the esteemed Valley Concert Society, which puts on live music. And don’t forget the daring Fraser Valley Stage group, which stages operettas, plays, comedies, and musicals. Of course, just walking around town is a treat. There is dynamic public art around the city, with murals, monuments, and colourful benches. Lifetime achievement awards only come once in, well, a lifetime. And there are few more deserving than Robin Poitras, the Artistic Director of New Dance Horizons. Since its founding in 1986, the studio has put on exceptional dance performances, guest lectures, and community events. For art that stands a little more still, head to the Art Gallery of Regina. This popular centre makes an effort to shine the bright lights on Saskatchewan artists in particular, and offers workshops and lecture series to get emerging creatives up and running. 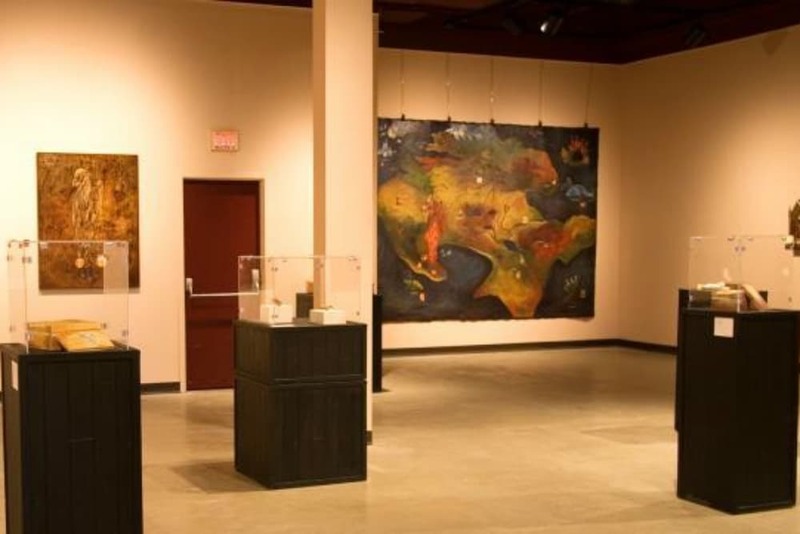 You might also want to pop into Assiniboia Gallery, which collects works of watercolour, oil, acrylic, and other media. Regina is also super popular when it comes to artistic festivals. 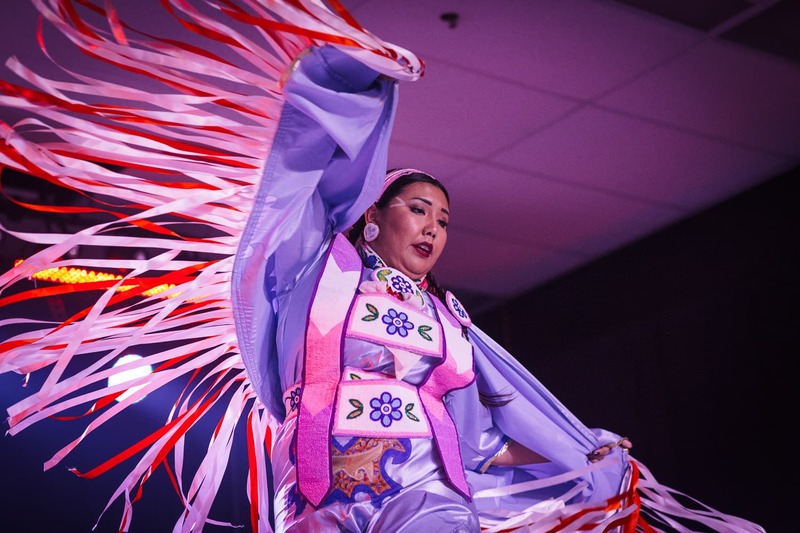 This includes: Country Thunder, a huge country music event; Regina International Fringe Theatre Festival, which features avant-garde performances; and JazzFest, which honours all things jazz for five days. All the world’s a stage–though that stage may be located in Saskatoon. This art city is well-regarded for its theatre. This is includes the annual Shakespeare on the Saskatchewan, which takes place each summer on the sun-kissed banks of the South Saskatchewan River. Then of course, there’s Embrace Theatre, which has won a ton of awards for performances and design. 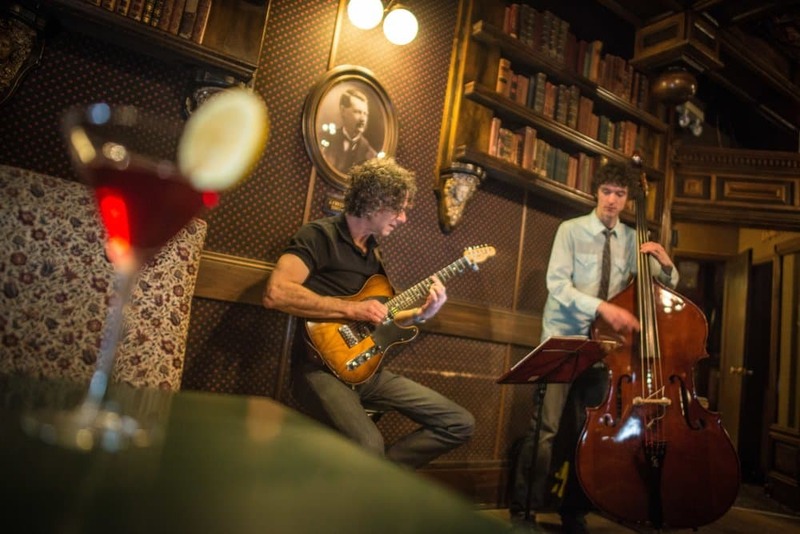 Saskatoon also has music in its soul, with two major jazz and blues events during the year: Saskatoon Blues Festival and Saskatchewan Jazz Festival. The Remai Modern is also gaining buzz. The new art and multi-material museum is scheduled to open later this year. 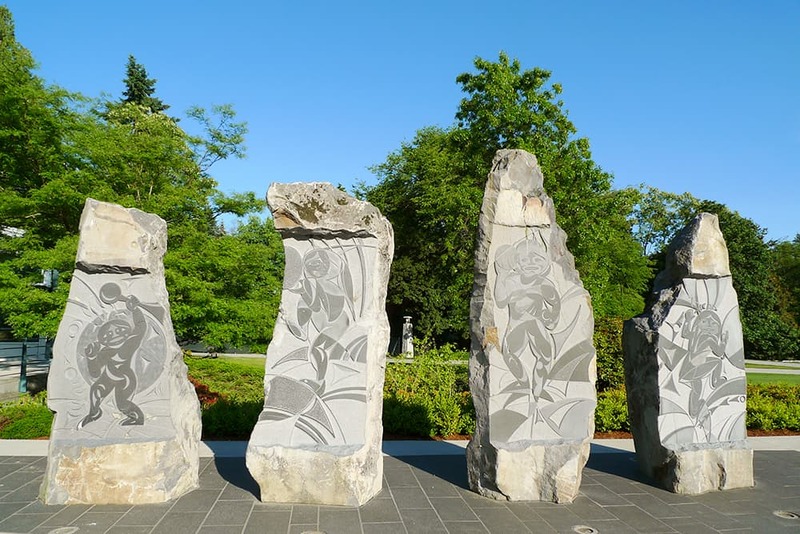 As one of the largest cities in British Columbia, it’s no big surprise that Burnaby is such an eclectic art town. You can easily spend your whole afternoon admiring the different works at the Burnaby Art Gallery. The space recently celebrated its 50th anniversary, and continues to be a leader in bold paintings and photography. It also routinely hosts classes for families and seniors to get creative with art and the natural landscape. 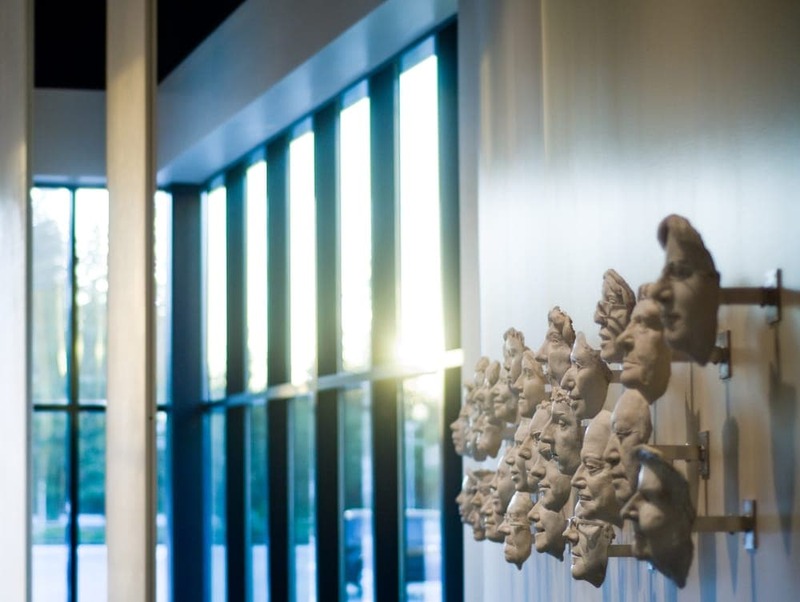 The award-winning Shadbolt Centre for the Arts is a hub for all sorts of creativity. It hosts exhibits, offers classes, and puts on Symphony in the Park each summer. More of a blues fan? 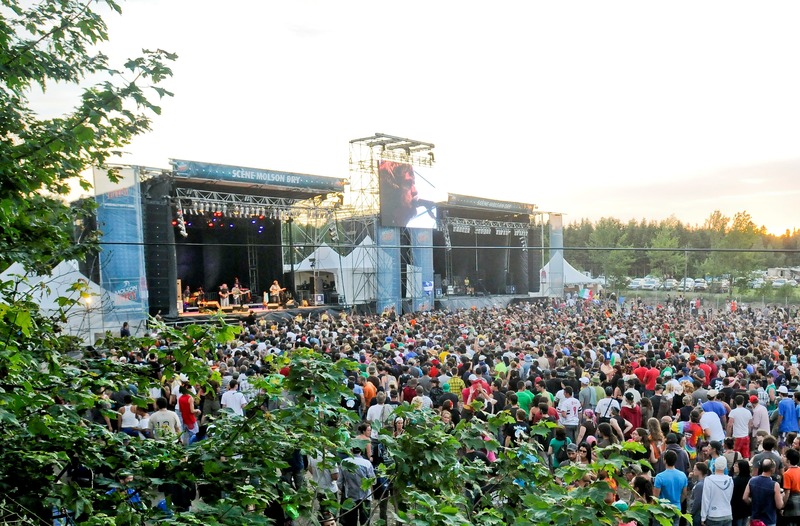 The Burnaby Blues + Roots Festival brings classic soul to the town each summer. Like a little bit of everything? Don’t miss the Summer Arts Festival. Now in its third year, this event features glass blowers, live music, pottery, fashion, sculptures, and other media on display. How can you not include Vancouver on a list of top artistic cities—especially when it’s playing host to “Dance of Time I,” an original sculpture by the one and only Salvador Dali? The sculpture of the melting clock will be stationed at the Chali-Rosso until September. Fancy yourself a movie buff? Brace yourself for the Vancouver International Film Festival. Spanning 16 days, this annual festival sees nearly 150,000 fans over 350 screens. Speaking of live action, there over 50 theatre companies in Vancouver. 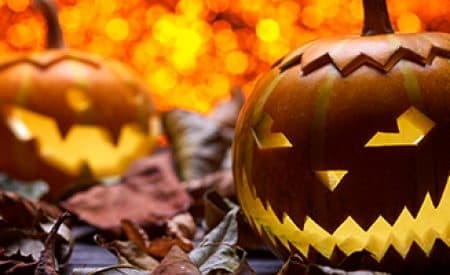 We’ll shy away from picking our favourites, but we will recommend two of the biggest events of the year: Bard on the Beach and Theatre Under the Stars. Come in close, we have a secret to tell you. Yes, the Vancouver Art Gallery is exquisite. 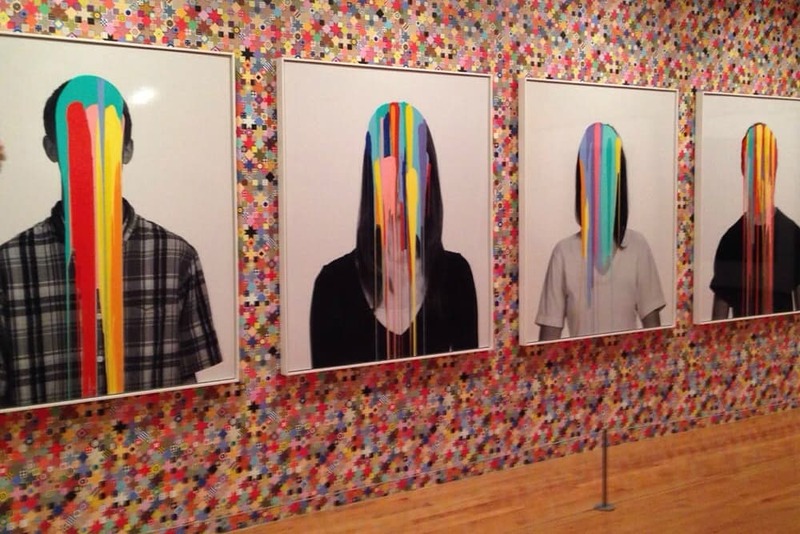 Yes, it is filled with art that can change your outlook on life. But the thing is, the outside of the gallery is a work of art itself. The masterful white columned building is proud and beautiful–and the perfect place to do your own sketches on the steps. There’s little question that Montreal is one of the top art cities in Canada, if not the world. 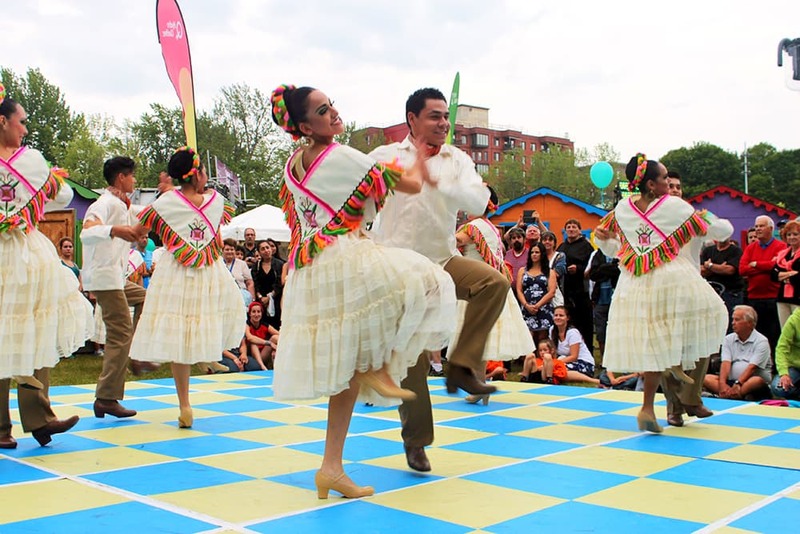 One of the highlights is Festival International Nuits D’Afrique, the 31-year old festival, showcasing talent out of Africa, Latin America, and the Caribbean. You don’t always need a festival to see beauty, however. Simply look around the colourful St-Laurent Boulevard. 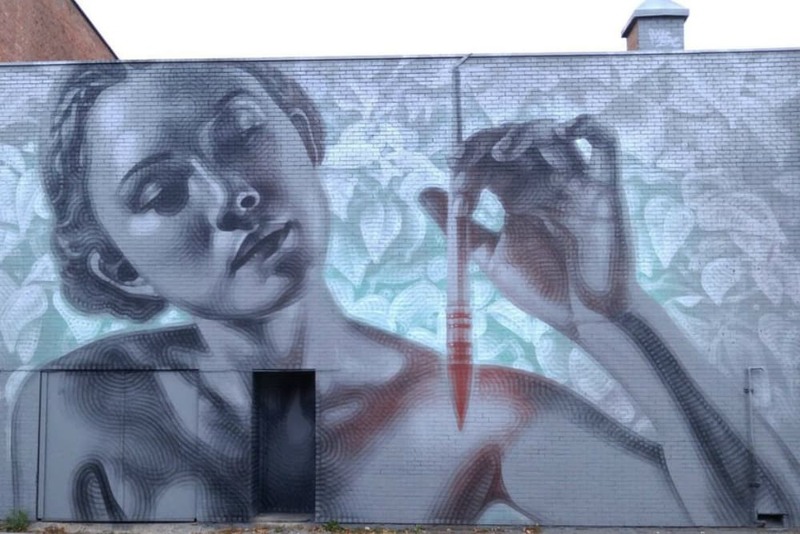 Murals are popular here, and are even celebrated at the annual MURAL Art Fair (FAM), when some of the boldest muralists showcase urban and contemporary works of art. On to moving art: Cirque du Soleil has been a staple in Quebec for years, with its headquarters in Montreal. Today’s show—VOLTA—is, in a word, enchanting. It’s a tale of inner free spirits that long to be free above the high tops. Dance is also important in this city. And few companies are better than Les Grands Ballets. This isn’t just an extraordinary ballet company. They also do a lot for the local community, including free performances of “The Nutcracker” for disadvantaged children and contributions to the National Centre for Dance Therapy. “What is art” has been a debate for centuries. Maybe it’s a surrealist impression of real life. Maybe it’s something so outside ourselves we’re forced to look in. Or maybe it’s the simple effort to elicit an emotional response through creativity. Whatever the answer is, we know that these art towns are asking the right questions, and making people within the city eager to express themselves. For that, we salute them. 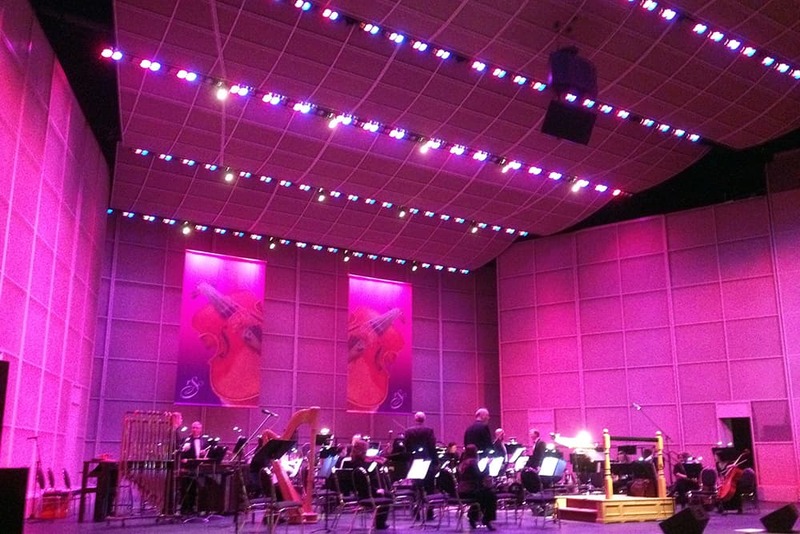 It is wonderful to see this celebration of the Arts in Canada. You’ve likely started something.. like a road trip! I’m assuming that a comment can include a suggestion! For my part I marvel at the vibrancy of the choral and instrumental music scene on the South Shore of Nova Scotia, particularly Lunenburg, home of Maritime Concert Opera and the gifted stalwarts who over the years have built the scene in a UNESCO celebrated town. LAMP is becoming a learning centre of excellence. I noticed there were no towns from Alberta, to which I am not surprised. And that is why this is a great article, now I have better information on where to go when I leave this province.